There must be three or more groups. If there are two groups only, you can use a 2-independent-sample t-test. There are two grouping factors. The independent variable is called the grouping factor. The group is called the level. 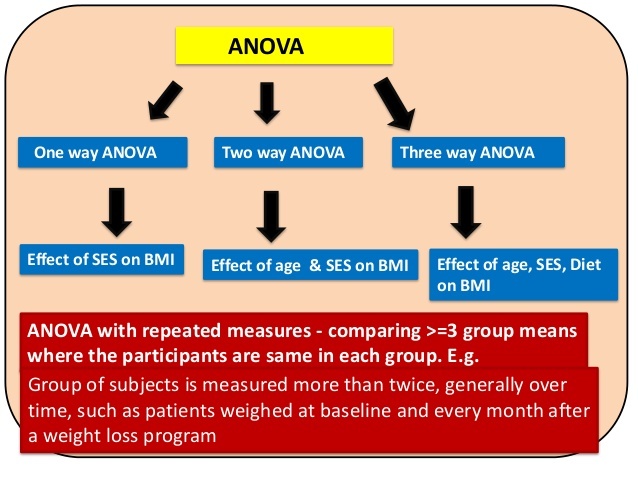 Unlike one-way ANOVA, in this design it is allowed to have fewer than three levels (groups) in each factor. In this example, there is one factor and three levels (Group 1-3). In this example, there are two factors: A and B. In each factor, there are two levels: 1 and 2. Thus, it is called a 2X2 ANOVA between-subject design.